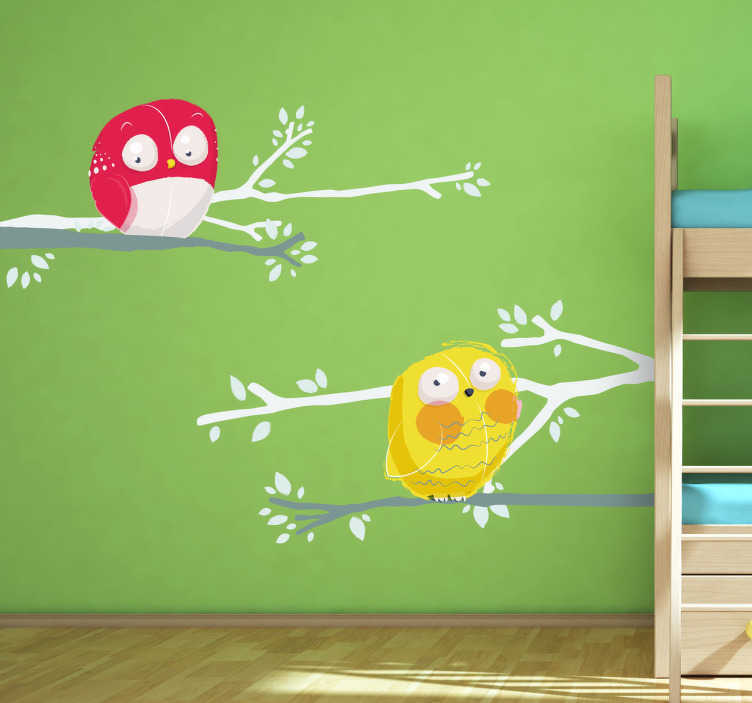 Kids Wall Stickers - Playful illustration of two owls, red and yellow, resting on a branch. Ideal for decorating areas for children. Available in various sizes. Made from high quality vinyl. Easy to apply and easily removable.